A foreigner’s guide to class in Britain | Notes from the U.K.
No American who comes to Britain late in life will fully understand its class divisions. You have to be steeped from childhood in the toxic brew of British class snobbery to catch all the nuances and signals—the accents, the clothes, the first names, the last names, the words for meals. Example: I was listening one of Radio 4’s strange radio dramas and one of the characters was a self-involved, snobbish, clueless upper-class twit named Lulu. My completely random and occasionally involuntary research into class in Britain has taught me that Lulu is the perfect name for an upper-class twit in Britain. Yup. Lulu. A name to aspire to if you aspire to be an upper-class twit. In the interests of full disclosure, I’ll admit that my research didn’t offer me the word twit. That’s my addition. Let’s take it as an interpretation. 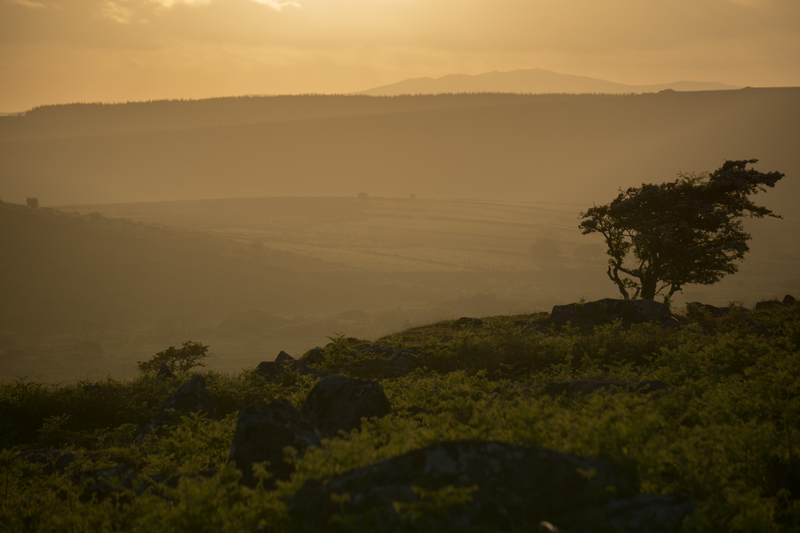 Irrelevant Photo: Bodmin Moor. Photo by Ida Swearingen. Where and when I come from, Lulu was the hapless central character in the Little Lulu comics. It was one of those names history had left behind and it would have taken the combined efforts of all the gods humanity ever believed in to protect the child whose parents named her that. To me at least, it still carries those overtones. On the other hand, Trevor and Clive, which Americans think of as quintessential English upper-class-twit names, are just names in Britain, with nothing twittish about them: they’re just what some people are called. I’ll skip over the ways clothes signal class. I’m dyslexic in fashion, so you shouldn’t take my word for anything related to it. But the words for meals? Someone who knows the signals can tell your class from what you call the evening meal. But full understanding isn’t as simple as memorizing a list. You also need to know what part of the country a person comes from, because everything turns into its opposite when you cross some invisible north-south divide. No, don’t ask me. And if I’m wrong about it, blame someone else. I’m American. I can’t be expected to understand the nuances. But that north-south divide also has something to do with class. I think. Then there are the accents. This island (and that leaves out Northern Ireland, which is outside of my experience) compresses so many accents into a small space that spontaneous combustion is a real danger. All those accent molecules rubbing against each other can generate serious heat. Some of the accents are class or regional (which relates to class, but we’ll get to that in a minute), but others are national, as my writers group pointed out to me and as I had sort of known without really knowing it: Britain isn’t one nation, it’s four—England, Scotland, Northern Ireland, and Wales—all compressed into one country. And if you’re a Cornish nationalist, you can make that five nations. And each nation has at least one accent. Think there’s such a thing as a Scottish accent? You’d be wrong about it. The Edinburgh accent is different from the Glasgow accent, and your intrepid researcher recognizes the Glasgow accent only by her inability to understand it. Will it surprise you to learn that a whole lot of call centers are based in Glasgow? I’m sure Scotland has other accents as well, but I live a long way from all of them so I’ll quit before I expose any more ignorance. Cornwall isn’t recognized as a nation yet, but it was once its own country, with its own language, and the Cornish have very recently been recognized as an official minority. All the signs are that the county will soon have some political power (or the illusion thereof, she said cynically) devolved to it. Whether that will lead to recognition as a nation I don’t know, but it certainly has its own accent. Incomers and the children of incomers don’t tend to pick it up, though. They choose from a grab bag of other accents and how they fix on one rather than another is anyone’s guess. Presumably they pick the ones that mark their class or education or aspirations. Or maybe they don’t pick, they just acquire, without a clue about what they’re committing themselves to. That’s the way I acquired my own accent: with no idea what I’d be signaling for the rest of my lie. The regional accents (and there are scads of them) are looked down on by the kind of people who think it’s important to look down on these things and on the people who have them. Some middle class people will swear they don’t have an accent because the culture approves of the way they talk, and that keeps them from hearing it as an accent–it’s too clearly right to be an accent. And some will have shed a regional or more working class accent to achieve a middle-class accent. In fact, some people will send their kids to private schools just so they can pick up a middle-class accent. This is called received pronunciation, or RP. When an abbreviation goes into ordinary speech, you know it’s worked its roots deep into the culture. Depending on the kind of work you do, you may need to lose your accent to pick up a job. You want proof of how much RP matters? Type Received Pronunciation into the U.K. version of Google and the predictive feature will offer you Received Pronunciation Training before it bothers with Received Pronunciation Definition. Everyone knows what it is, what matters is how to get it. This entry was posted in Intercultural Mayhem and tagged accents and class, British accents, British names, British national accents, British regional accents, class accents, class in Britain, English accents, names and class, received pronunciation by Ellen Hawley. Bookmark the permalink. I suspect I’m in the right age group but I missed that one. I haven’t seen that since–oh, groan–it first came out, so I don’t remember if clearly, but yes, it would have to get into accents, wouldn’t it? Your old dad was right, but the longer I’m here and the more I listen and read, the more complicated the picture gets. Partly, it’s getting complicated by the middle-classification of the country–the idea that if you have any stability at all you must be middle class–and the de-industrialization that’s running in parallel to that. A lot of discussions of class here turn out to be about what they call social class, meaning that things like education and culture and family history and style come into it as much as (or more than) economics. I’m still struggling to get my aching head around it. Hmm..I don’t think the essential dynamics of class are really that different on either side of the pond. Middle-to-upper class English people just like to TALK about class more. But I think it’s clear that – universally – things like education, culture, and family hurt as much as, or more than, economics. I’m sure the knowing nose could tell a person’s class by her perfume. Since I don’t wear any, I guess I have no class at all. I’ve never been a fan of perfume, maybe because when I was a kid in New York I sat next to too many old ladies on the Fifth Avenue bus (somehow it was only on that one route; the rest of the city either managed some moderation or didn’t use the stuff) who’d doused themselves with entire bottles of it. I did, for a while, wear oils–sandalwood and that kind of thing–but stopped when a few events I went to asked everyone not to wear it because a few people had allergies. I got out of the habit and haven’t bothered since. The only thing I use essential oil for now is cedar oil to refresh the moth-scaring blocks I put in with our woolens in the summer. I’ve never exchanged words with anyone who had a perfume/essential oil allergy. It’s refreshing, in retrospect, to know that those requests not to wear them made some sense. At the time, I sort of figured it was people being careful over something that might not happen to any member of the human race. Thanks for (however briefly) restoring my faith in good sense. What a great post. Yes. Its a minefield isn’t it? Her real name is probably Louisa Fontenroy-Bollingworth and she gets called her baby name Lulu. Good examples of this are to be found in The Only Way is Chelsea”. I really love Rowan Atkinson reading out the private school register. You wouldn’t think that reading a list of English names could be found so funny. On the other side of the coin, if you speak ‘posh’ a taxi driver or market stall will probably charge you more – going to a boot-sale really brings out peoples local twang. The real question is, how do you pronounce Fontenroy-Bolingworth? Froy-Bowwith? Right! How to pronounce words is a real telling of class. Magdalene (pronounced Maudlin) College for instance and then if we use settee instead of sofa, serviette instead of napkin or pardon instead of what – shows that we are definitely not upper class. It’s funny, but I’ve seen most of that list but I never manage to remember which words indicate which class. Maybe I just prefer my ignorance–or innocence, if you prefer. My father was from Glasgow. My mother from Oxford. I learned to speak in Yorkshire. Grew up in South Africa. Oh, and The Husband’s mother was from Glasgow; the father from Edinburgh. He was born and learned to speak in Edinburg. At three, they emigrated to the then Rhodesia. Howzat? People as us if we are … wait for it “English”. Need I say more? Just try not to giggle when you answer. Wahaha! That made me laugh! Then my day hasn’t been wasted. I am always amazed at the variations of things across the UK. I mean the place really isn’t that big. I suppose it was when people had to walk around. Oh well, people in New England (I think) must have brought some of that accent snobbishness with them. I don’t see it in action much among or between classes, but when I moved here, I was asked often about my “accent” which wasn’t clearly from anywhere, but clearly wasn’t from here. Lulu? Seriously? That will have me scratching my head for a while. Yes, Lulu, seriously. You can’t make this stuff up. I swear, if I had to name a kid here, I’d need a whole committee to consult with so I’d know what I’d be subjecting the little mite to. Interesting take on accents and class in the UK. You have hit the nail on the head. I am from the East Midlands; not a place with the strongest regional accent but I went to an independent school (which makes me a snob/toff/posho even though I won a scholarship to go there and didn’t pay one penny) so my accent is pretty much RP with a twang of midlands plus Australia and New Zealand where I have spent a lot of time. People with regional accents find me ‘posh’ or ‘well-spoken’ and make hundreds of assumptions about me due to the way I speak. People with actual RP tend to look down on my polluted accent and make hundreds of assumptions about me due to the way I speak. Such is life in England. I am proud to have my mongrel accent which can’t be attributed to any particular corner of the UK, but I’m tired of defending myself to others just because of how I pronounce certain words. I make a firm point of never, ever judging another human being based on accent. Thanks for posting about such an important issue, Ellen! All of that makes me grateful to have an accent that stands outside the British accent judgement system. The craziness of it all is that the range of accents here includes so many rich and beautiful (and unappreciated) ones. This sounds very much like me, except insert Sheffield (just to further complicate the accent minefield by zooming in from region to city) rather than Midlands. Lots of people assume I am posh so I tend to become more regional in company and remain more RP at home. Posher when drinking, more northern when angry. We are middle class by dint of my parent’s education and occupation (Oxford/Uni lecturer, Manchester/teacher), one generation away from trade on both sides and two generations away from the mines. We had a settee, used napkins, read the Guardian (referred to as the Grauniad because of the spelling mistakes) had nursery tea as children (4.30pm) while my parents had supper later, (6.30) or went out for dinner (8pm or later). Sundays we had lunch and high tea. My parent wanted us to be equipped for anything I think and I have always appreciated the informal “watch and learn training” I relied in courtesy, etiquette and education. I am posh enough not to care too much what others think, but not so posh I feel comfortable being rude to them. Fascinating post and responses, thanks as always! And a fascinating comment, although I still can’t follow the implications of which meals were called what in your family. I probably never will be able to hold it all in my head. I think the person who told you your accent would have snob appeal in the U.S. is right. Play it for all it’s worth. I wonder if the private school kids that “receive pronunciation” (I dare to use that phrase as a verb…) then look down on the regional accent they learned to speak with. At a wild guess, I’d say most of them do. But I have absolutely no evidence for that. Did you ever read Charles Dickens’ “Great Expectation” or see the film? That is what happens with Pip he becomes a snob and is ashamed of his family, then goes through an identity crisis. I have read it. It strikes me as one of Dickens’ deeper books, exactly because he allows us into Pip’s snobbery and regret. That’s exactly what I was thinking about when I wrote that comment. Truly, life imitates art. I first learned about the English class system on a train from London to Portsmouth when the guy in the next seat accused me of being a snob for reading The Times. I assured him that I was not and in the course of our conversation, he learned that I ran chains for an overhead crane in a steel foundry. He then handed me a copy of The Sun and tossed my paper into the bin. Funny story. And depressing. I’ve had friends react the same way to me reading the Guardian, which is a damn good paper but known as (and by some dismissed for being) the intellectual snob’s paper. What a depressing way to define (and limit) class. I love language, and so I love accents and dialects as well. I don’t have much of an ear for England’s accents. I can tell you who sounds posh vs who doesn’t, but I don’t much care for status here, so why would I care about there? In Indiana, I sound ‘normal’ and ‘common’ if educated. If I go to Chicago, I sound southern and people find it charming. In the south, I sound like an uppity Yankee, apparently. Either way, both accents see me as a foreigner. I call the evening meal dinner. But it’s often referred to as supper at other people’s homes. I grew up calling the evening meal supper. Dinner was fancy. I’m still thrown when I’m reminded that in some places that’s reversed. I can hear the differences between British accents, but I’m hopeless at knowing which one’s from where. All I can manage to remember is that the O gets longer the further north you go. Yes, a couple of things: This is delightfully funny and it had my husband and I giggling this morning. And i really enjoy the photo which is apropos of nothing. I’m glad I made you both giggle. That’ll make me smile most of the day. And yes, I specialize in apropos of nothing photos. I’ll pass along the compliment to the photographer, who will also be pleased. Ah, yes. We “regionals”. It is interesting the way stereotypes become attached to certain regional accents. It is also interesting how different they are within just a few miles. I have a Fife accent and when I started teaching in Edinburgh, just a hop across the Firth of Forth, my students would discuss my sing-song accent. I thought I sounded just like them but apparently not. I remember it feeling like a big deal when I was wee and someone would be reading the news in an accent similar to mine, though technically Scottish Standard English rather than a “proper” Scots dialect. We regionals really weren’t much represented on national TV until recent decades. Having Huw Edwards as a main BBC anchor was like some sort of coup. Anyway, I have a Fife accent, still smattered with plenty of Scots vocabulary, and grew up in a housing scheme in a post-war new town during the economic deprivations of the mine closures and strikes. My husband has an RP accent and spent his childhood in places like Guildford, Tunbridge Wells and suburban Washington DC. Somehow we avoid the Class War. I can barely control the urge to make Fife across the Firth of Forth jokes. In fact, I’d lose control if I could actually think of any. But the sound of them all piled up together is wondrous. When your kids first started speaking, could you spot which accent they were leaning toward? Or did they pick up the region you were living in? My kids are complete mutts. The oldest leaned towards my husband’s RP with a smattering of my Scots vowel sounds. The younger three all had definite Scottish accents but not so that you could pin them down to a region, so more like SSE. My youngest probably had the strongest Scottish accent and I wonder if that’s because he was getting help with speech and language so I was getting him to sound out the way I spoke, he was learning more directly from me how to speak rather than through osmosis. The middle two, since emigrating, have gone American to my ear but their American peers and teachers still hear them as being Scottish. …just when we think we can draw neat lines between accents, right? Very interesting to consider that so much is placed on one’s accent in the UK- having an accent is more of just an interesting side-fact of someone in the U.S. I did notice when we visited Cornwall that the regional flag (I think it was black with a white X/cross) was displayed prominently all over. Rather like Scotland when you go there. Definitely got the feeling that the Cornish viewed themselves as a distinct region rather than just part of the whole. For an American, I think we can understand the British thing with accents if we think about how it means to have a recognizably black accent or what might be considered a white one. (The dividing lines aren’t clear, hence all the modifiers.) They communicate more than just a person’s color and call up powerful responses–including for some jobs whether or not you get hired. I’ve never really lost my Birmingham accent, though I haven’t lived there for many, many years (left when I was 22). Now Brummie, as the natives of that city affectionately call it, though it is a very old, long-established accent, is despised throughout much of Britain as (supposedly) being unpleasant and the accent of thick (stupid) people. (Not withstanding the fact that at one point in the nineteenth century, there were more patents registered by Birmingham residents than by all the rest of the cities in the world put together.) West Country and East Anglian accents are often presumed to indicate that the speakers are “stupid” too. I never made any effort to get rid of my Brummie tones, and every now and again I find the prejudice against it is pleasantly reversed – like the lady who rang the other day and wanted to speak to speak to someone else in the family. I took a message, they rang her back, and she told them what a lovely soft Birmingham accent I had. And I don’t suppose that people who aren’t British would give a fig about my accent. North Americans don’t – Birmingham has hosted the US athletics team several times, and they keep coming back, so they must be able to understand the natives! Credit to you for holding onto your accent. Wild Thing, who’s from Texas and lost her accent first chance she had, swears that northerners (that’s the U.S., not the English, variety) think anyone with a southern (again, U.S.) accent has a single-digit I.Q. It can get depressing if you think about it too much. Wild Thing is right; there are certainly some northerners (US) who hold that opinion. It was annoyance about that, or with the people who would say things such as, “Oh, your accent, it’s *so* adorable! *” that made me work hard to lose mine, when we moved to California in my youth. Of course, I didn’t quite succeed. My accent is now “muddy,” and if I’m excited or angry, a very clearly Southern accent will pop right back out. *Some of them might have been genuine when they remarked that they liked the accent, but they always seemed condescending to me! I’m sure your * note is right–and I’d add that some people don’t know the difference between admiring and being condescending and can manage to do both at once. I had a dog named Lulu, so that is what first came to mind. She was definitely not an upper class twit! I imagine that people of all countries have regional accents, sometimes only recognized by people of the same country. Thanks for sharing at the Blogger’s Pit Stop. And thanks for stopping by to read it. I expect you’re right about every country having regional accents–and class ones, and who knows what else. And so much meaning–and disapproval and outright prejudice–get attached to who has which one when they all manage to communicate meaning so who cares, really? Oh, this is just so tasty. Now I want an audio book with all the different dialects. I want to practice! I understand the impulse and I can’t help. Wish I could. It makes the point clearly that this is an artificial English (not British) accent, only labelled in the mid C19th, and originally confined to the aristocracy and public schools. Its strength, if it has one, is that it hides your geographical origins. However, as all your thread shows, it is clearly viewed as a socially divisive accent, and one that used to be aspired to if you wished to climb the social ladder. Nowadays, I’m glad to say that anyone worth knowing doesn’t bother about RP except to laugh at its most extreme forms (like the Queen, although even she has moderated her accent now), though I fear that speaking with a strong regional accent may still frighten some people! As an English teacher I encouraged my students to love their community’s accent, and to use it, whilst also pointing out why more standard English usages for when they were speaking to people who might worry about such things – employers, college admissions tutors etc – might be wise. You are the English teacher every kid should have. Can we clone you on a massive scale? Interesting piece on RP, by the way. Thanks for including it. Fantastic post but there is a lot more to class than names accents and what you call dinner oops I mean supper. For a start there is where you went to school or more importantly where your people (that’s parents for us peasants) when to school. What you call your main living room is important, if you say lounge just give up and go back to eel pie and betting on whippets. I call my living room a lot of things, including a mess, but I doubt I’ll ever manage to call it a drawing room. Pass the eel pie, would you? i wouldn’t touch the stuff, you will have to get your own. Oh, good. Then you’ll never notice when I don’t go looking for any. You’re a foreigner so we don’t expect your to be civilised so no need to worry. Y’know, I’m happy with that. I’m originally from London, England. I went to a rough, working class area school, and I picked up the accent deliberately to avoid getting bullied about the original accent I’d had (which probably came about from copying my mum who was theatrical), and have never entirely lost it. I now live in Wales amongst people who speak English with a gentle Welsh accent and I speak with a North London cockney accent. (It’s very nasal.) What I’m trying to say is that the class variations in accent in the UK take second place to local acquired accents. . People imitate each other in order to fit in. Maybe that need to fit in is a British trait: it stops us standing out. A couple of Americans commented that they had to do the same thing as kids when they moved–acquire a new accent to keep from being picked on. So it’s not just the British. What a crazy bunch we humans are.